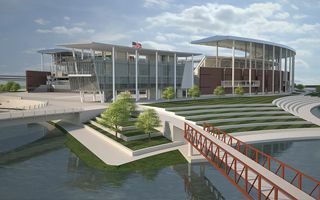 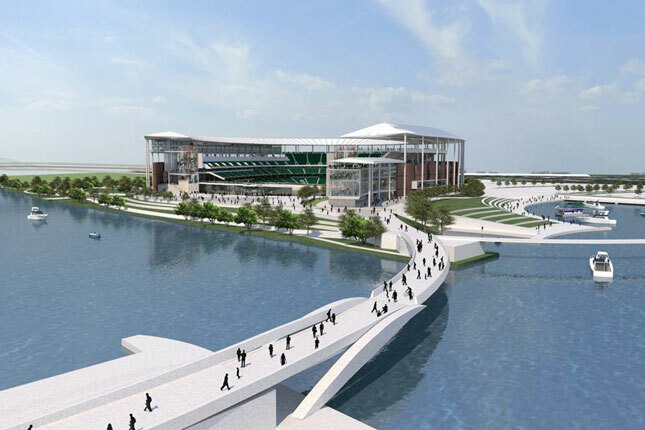 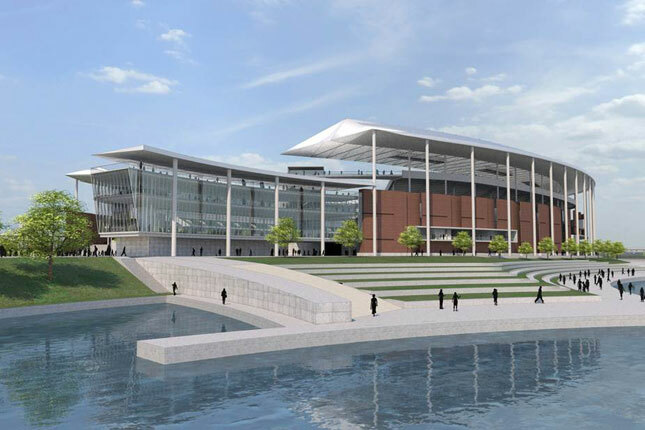 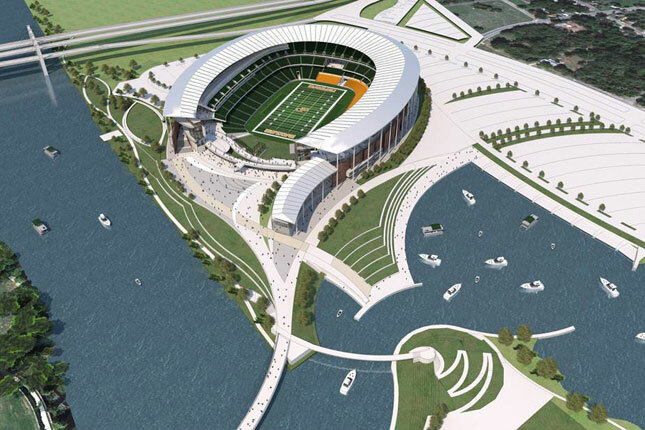 The new stadium is being built along Brazos river in Waco, on the east bank. 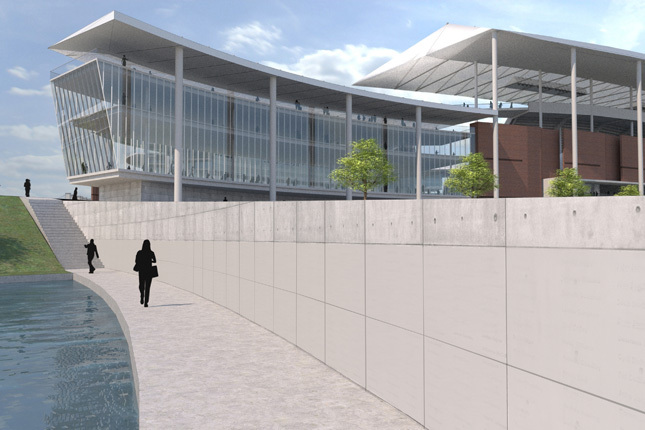 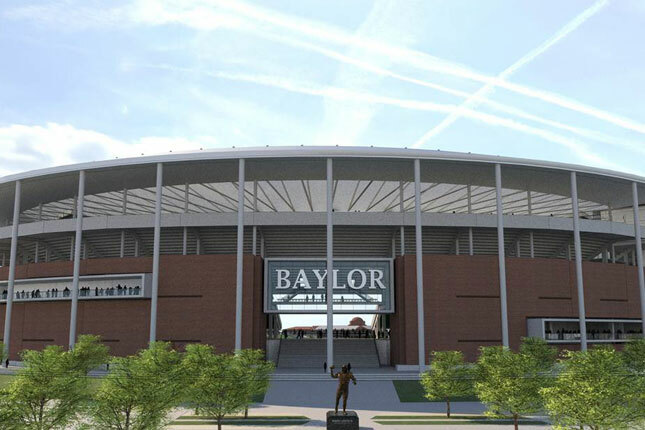 It will serve the Baylor Bears university club. 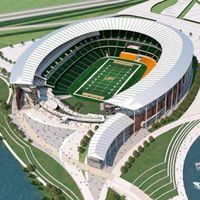 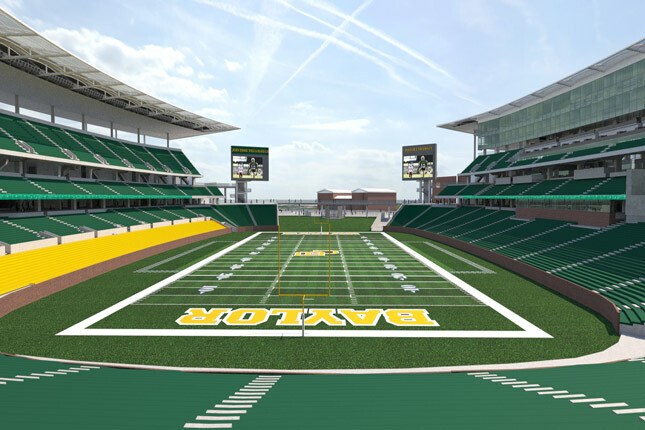 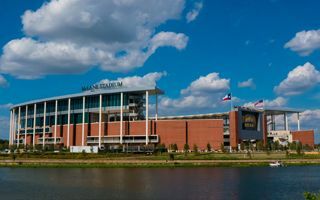 Designed by Populous, the stadium will have a significant roof over stands, while its south end, both stands and roof, will be open to the city, primarily the Baylor University campus. 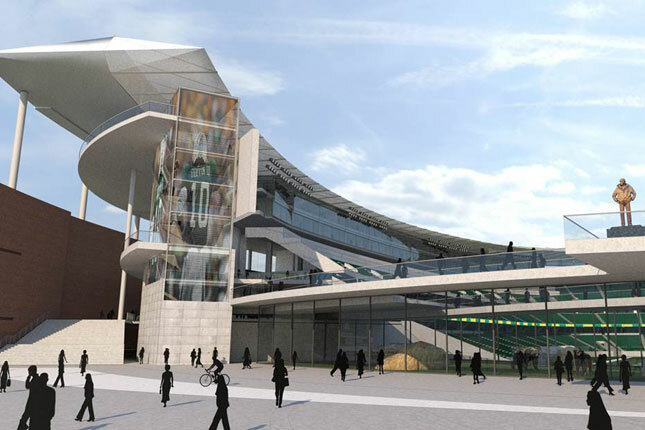 In its standard layout the stadium will have 45,000 seats, of which 6,700 will be the so called student-designated seating and another 4,200 of premium seats (while over 100 skyboxes are also envisaged). 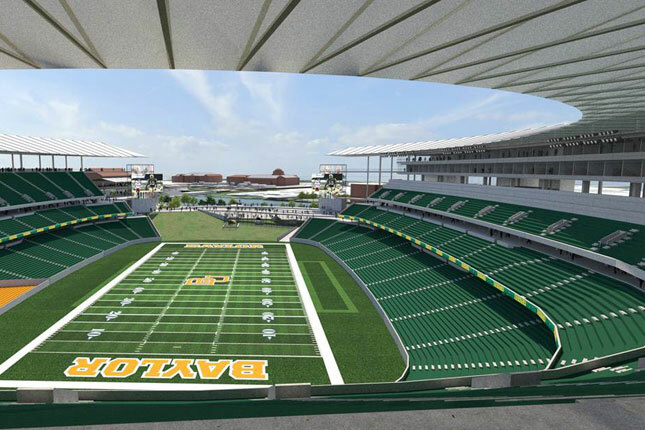 If needed, it can be expanded to some 55,000. 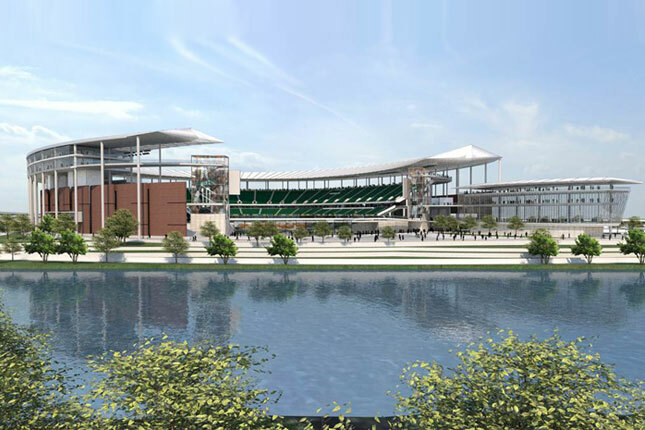 05.03.2014 Texas: McLane Stadium opening in August? 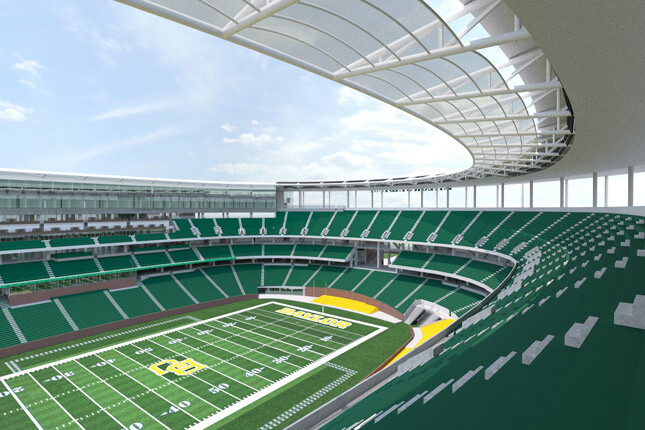 It’s almost set, the opening game of largest new stadium being currently under construction in Texas. 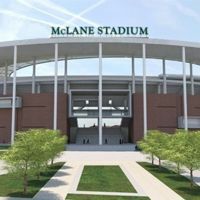 McLane Stadium will most probably not be opened by the home team, the Baylor Bears.